Following the hairpin curves of the hill road cut into the green along the coast between Amalfi and Agerola, one arrives to Furore, “the town that isn’t”. 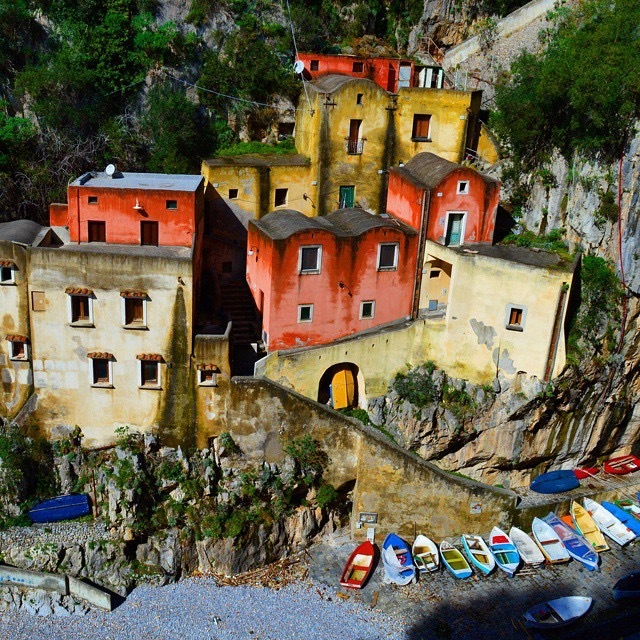 In fact, rather than being a town with buildings close together, it is a loose group of houses sprinkled across the rocky cliffs. These houses served to protect the fields and the village. 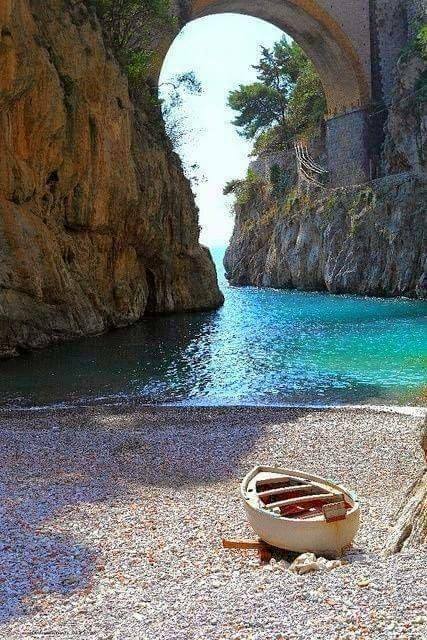 The village of Fiordo, instead, is at the foot of the cliff, along the Amalfitana state road between Amalfi and Positano. The “Terra Furoris” is the other face of the coast, where “noises are none other / than a slight flaw i n t he silence.” Katia Salvini defined i t as “a place dear to the gods, a hanging garden clinging to the mountain and stretching out into the blue of the sea and the sky”. Its houses seems to have sprung up from a deck of cards scattered by the wind. A sleeping divinity could be hiding on the steep walls of the canyon or on some huge, rugged cliff: a naked faun, evoked once again by the free love heretics, or a siren, glimpsed from a stairway, from a boat on the sea, or from the path with flowering agaves. 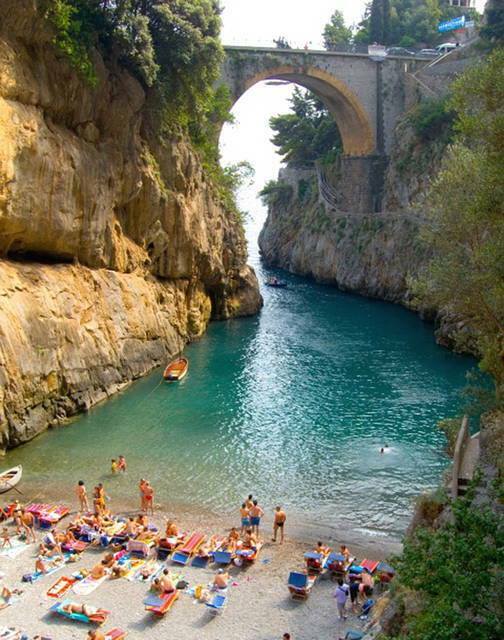 This is Furore: a well of mythic desires, the breath of a civilization on the edge of cliff poised above the sea.